The Guinness hoodie features a 65/35 Cotton/Poly blend with raglan sleeves and a front pocket. The main body of the sweatshirt is black with a cream lining on the hood and matching cream color drawstrings. 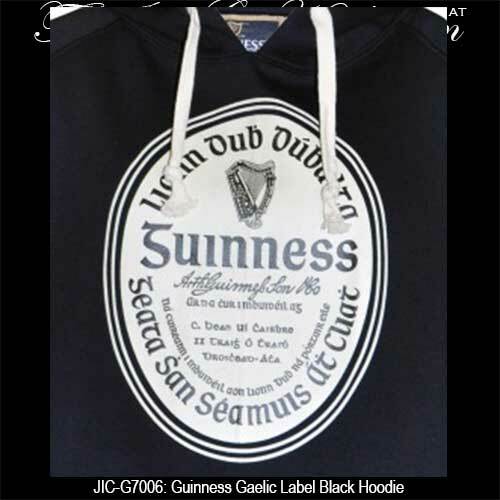 The Guinness Gaelic label to the front of the sweatshirt is a washed print that is enhanced with a worn feel. 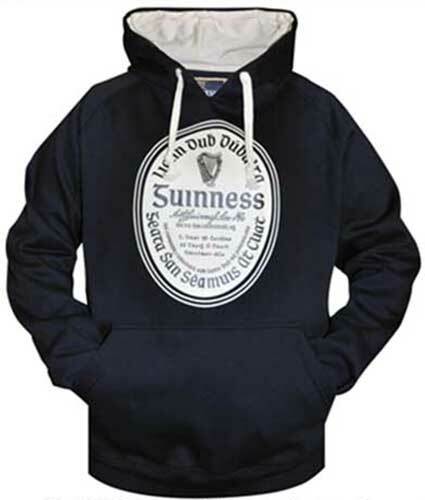 The Guinness hoodie is a sweatshirt that features the iconic Guinness label in Gaelic along with a lined drawstring hood. The black Guinness sweatshirt is 65% cotton and 35% polyester; is available at The Irish Gift House in sizes small Small through 3XL (sorry, size XL is out of stock).